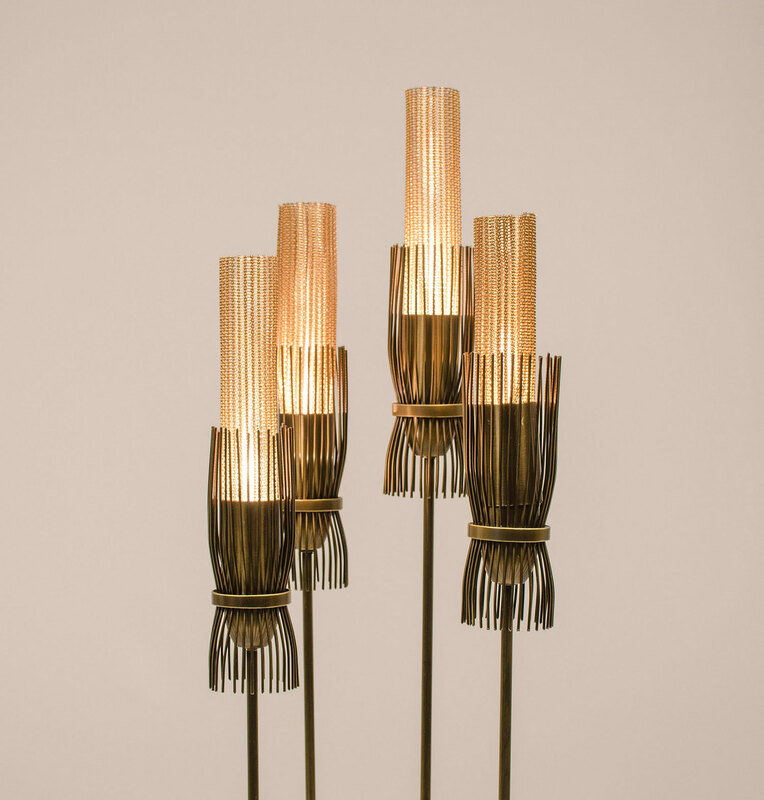 Triticum is a lamp inspired by the fields of Castilla, in Spain. 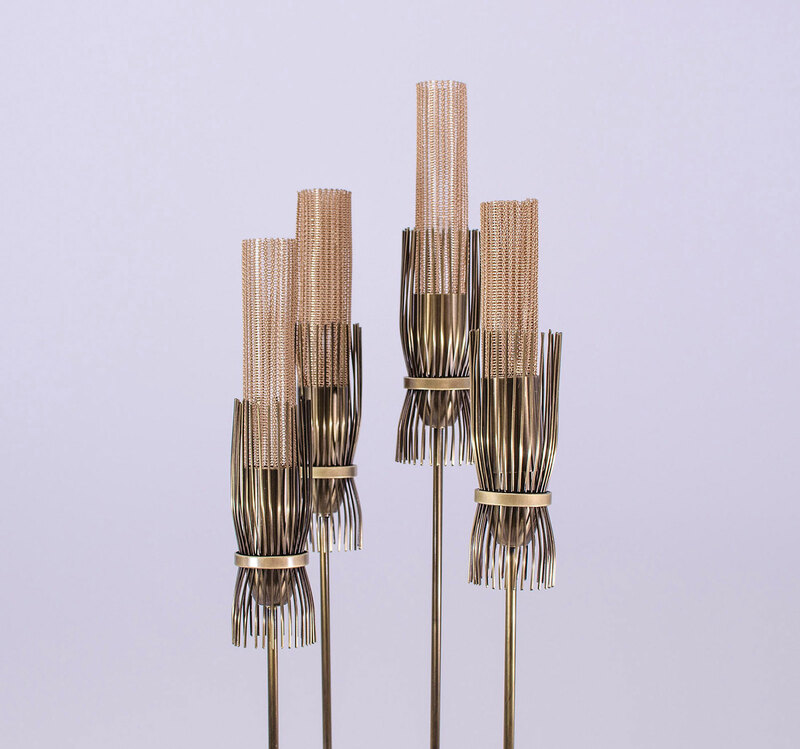 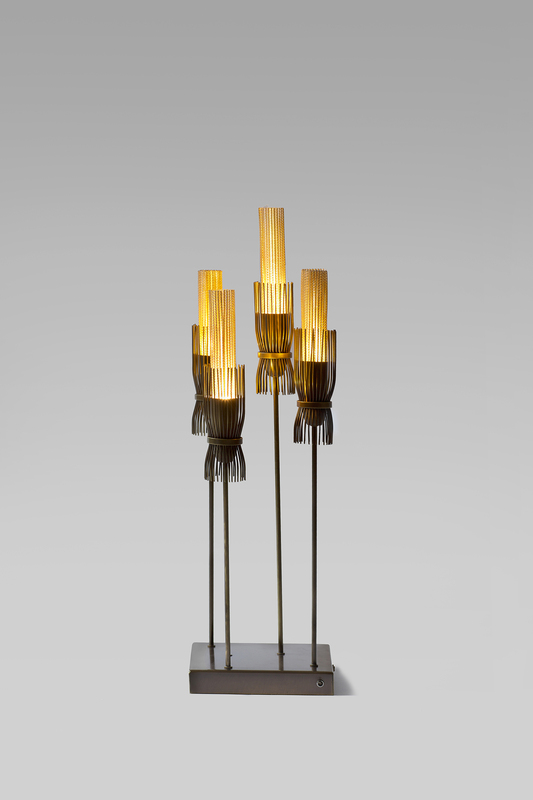 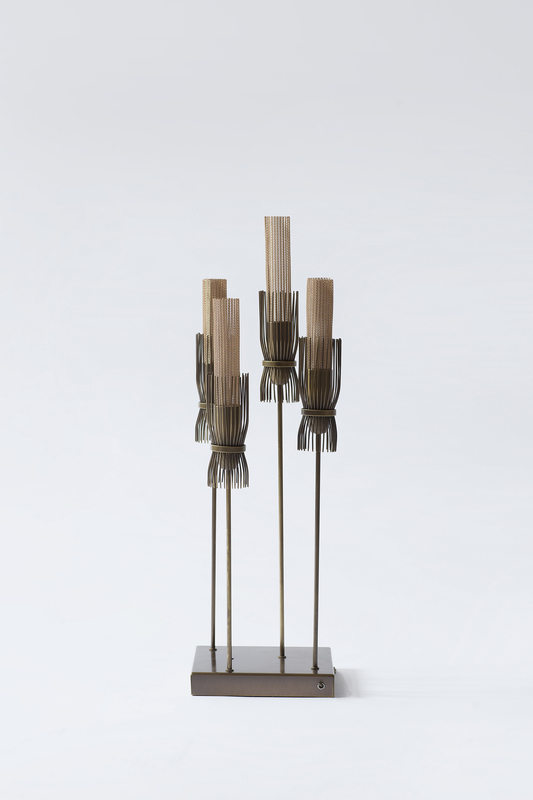 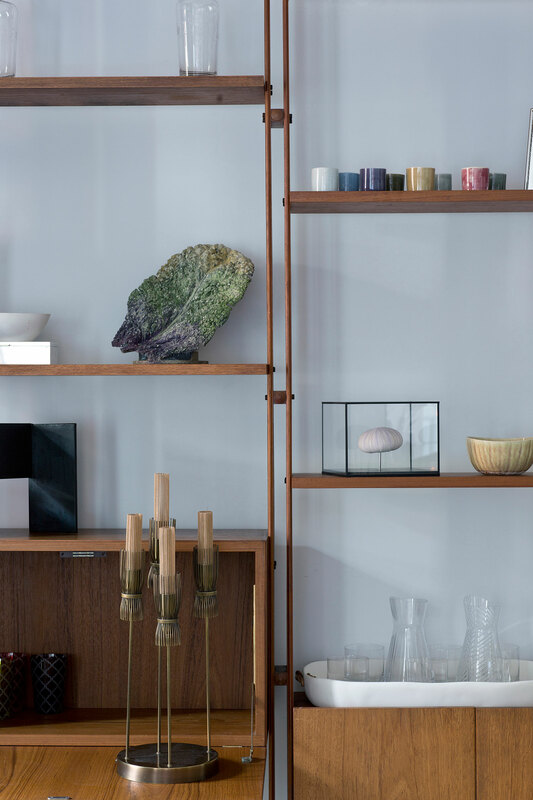 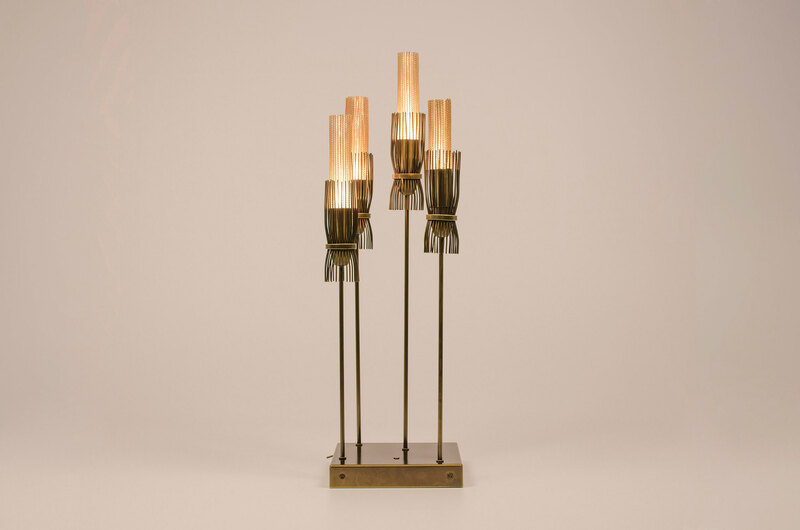 The product is composed by a brass base with 5mm stems with diferent heights and a LED covered by a copper mesch, which creates a golden glow of light. 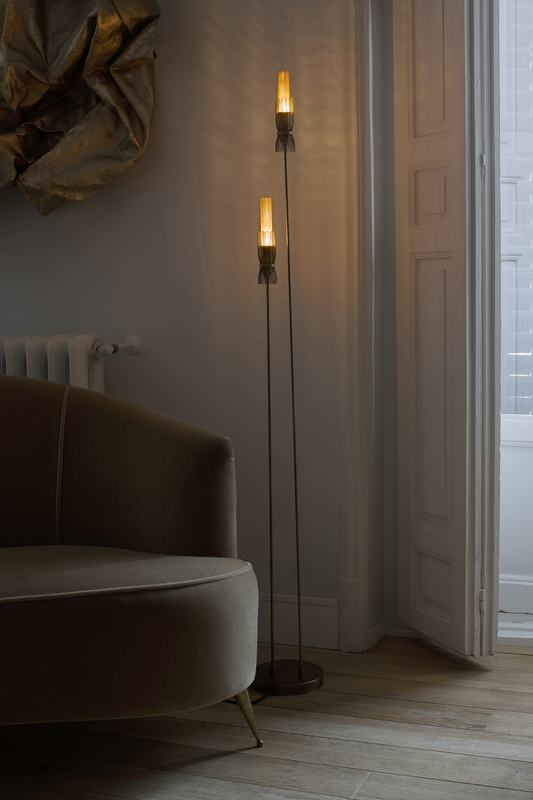 Triticum is a cordless lamp which allows freedom of use in diferent spaces for more than 8 hours.